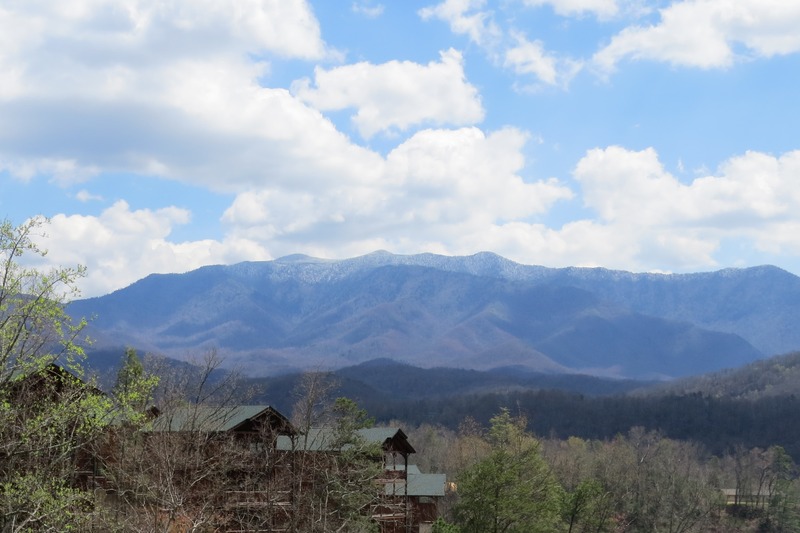 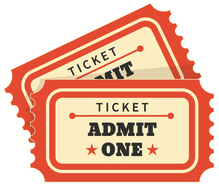 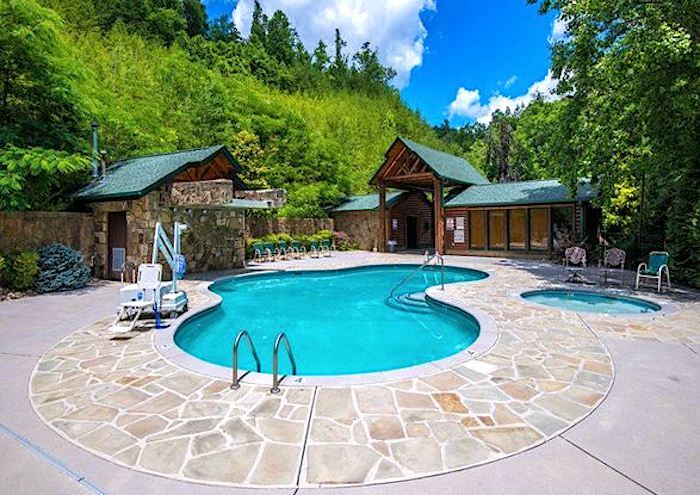 Centrally located just around the corner from downtown Gatlinburg and minutes from the attractions of Pigeon Forge in the pristine Gatlinburg Falls Hidden Valley Resort, “Mountain View Theater Lodge” offers guests a vacation getaway which will not soon be forgotten. 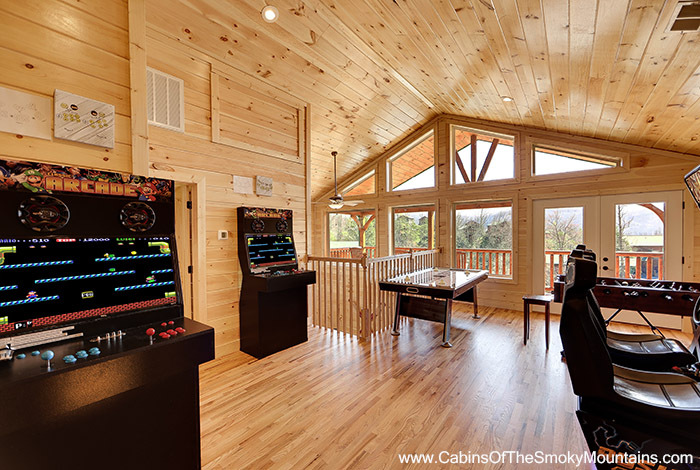 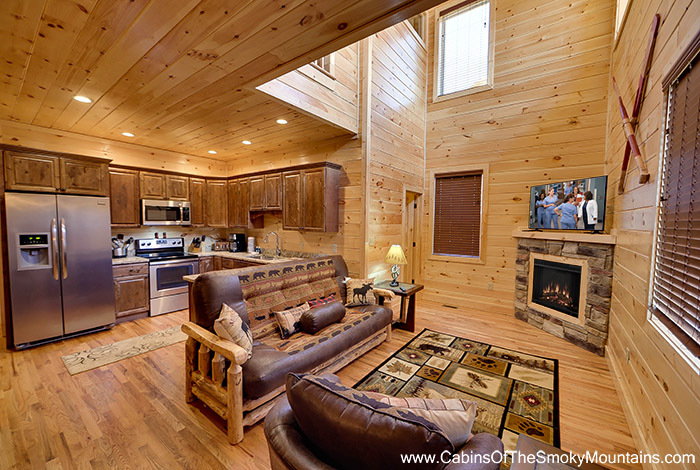 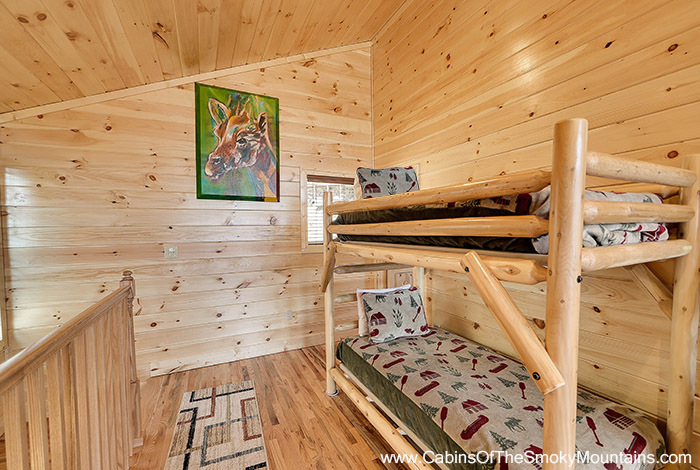 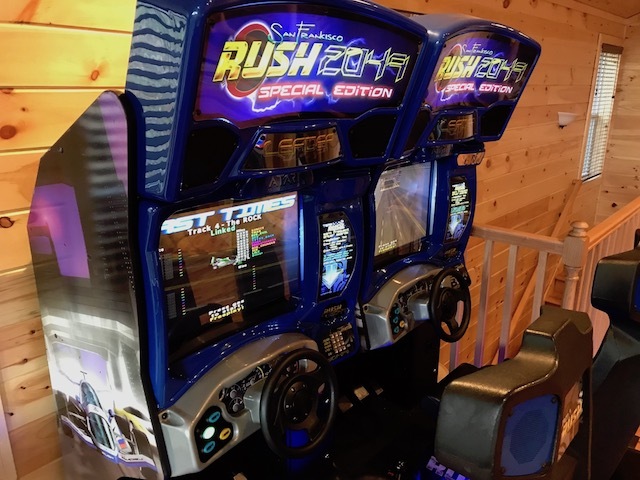 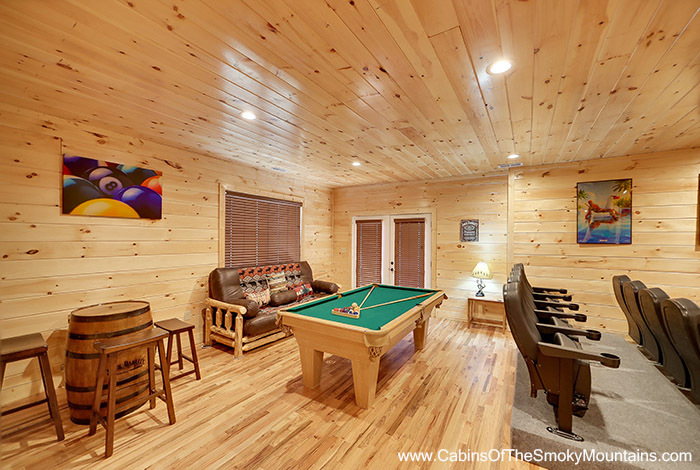 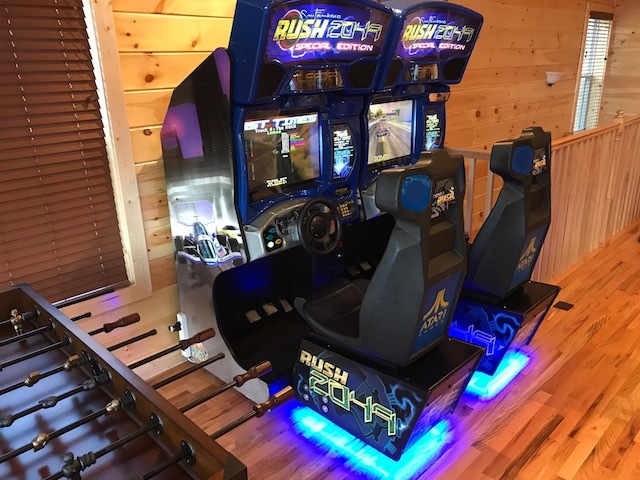 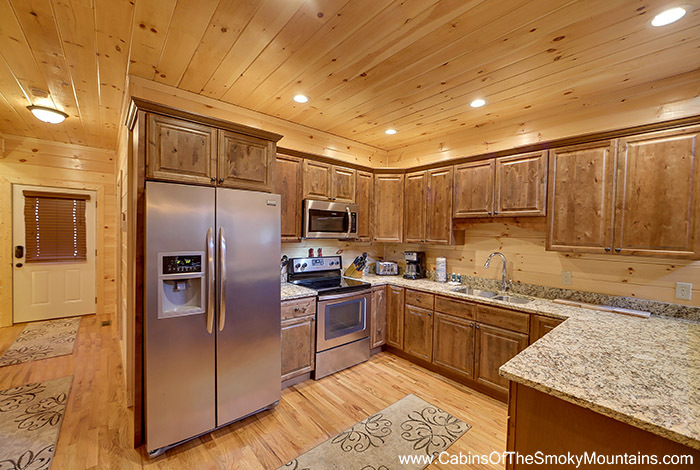 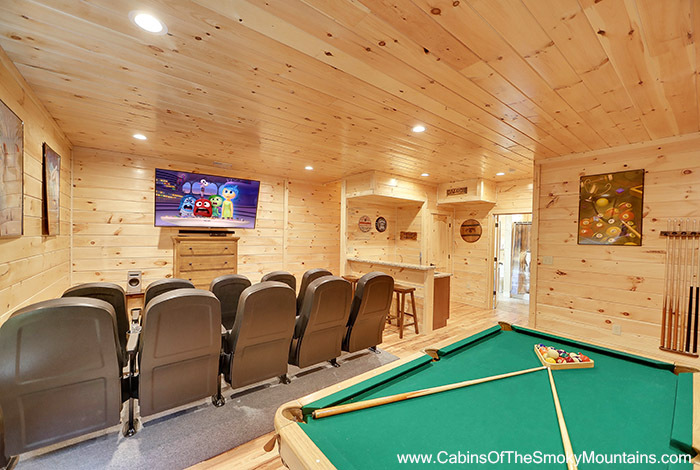 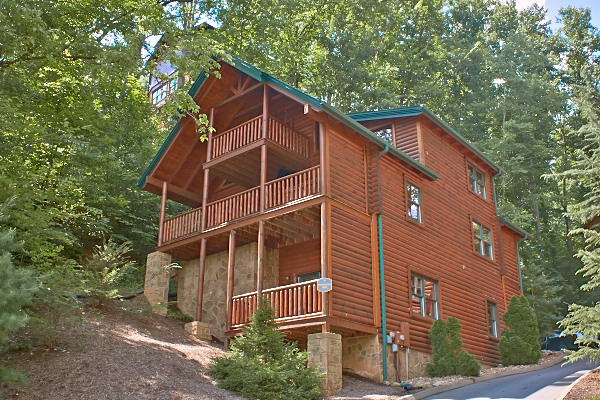 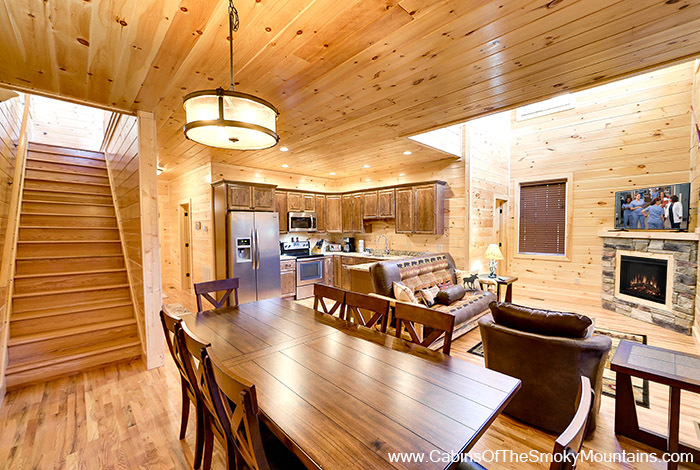 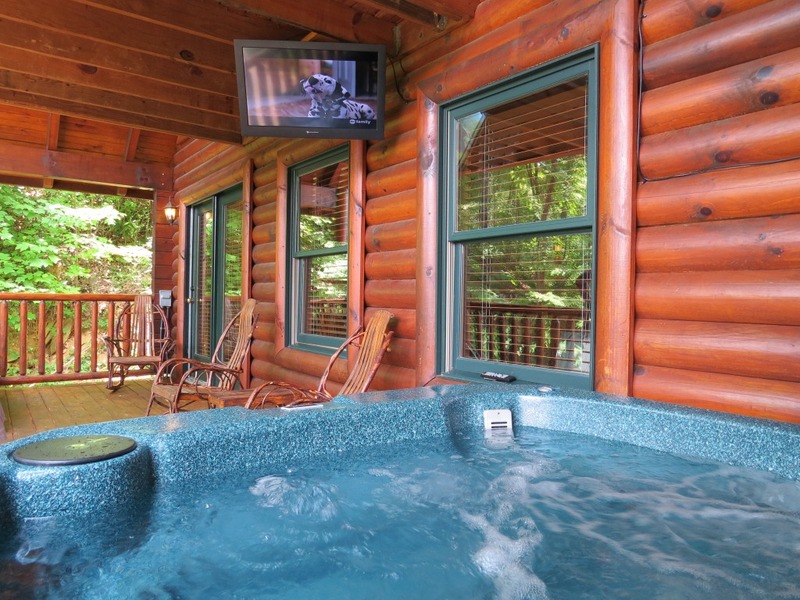 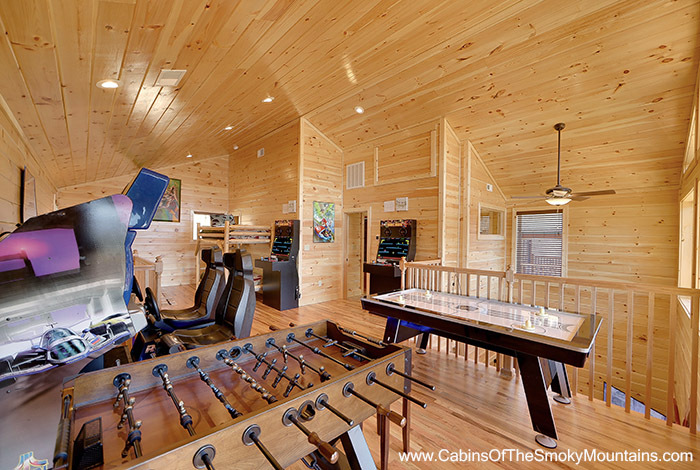 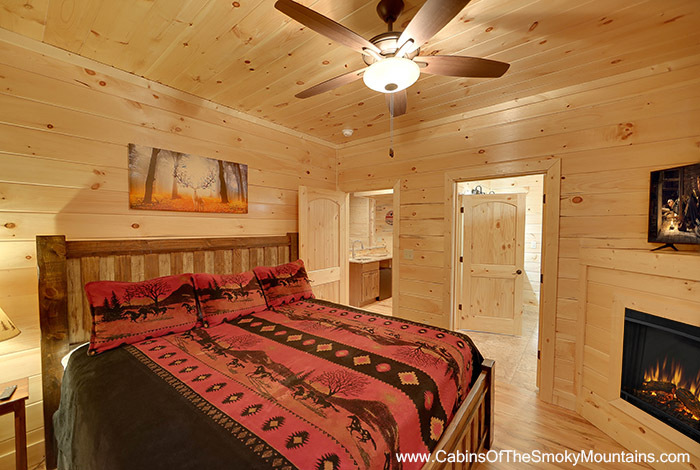 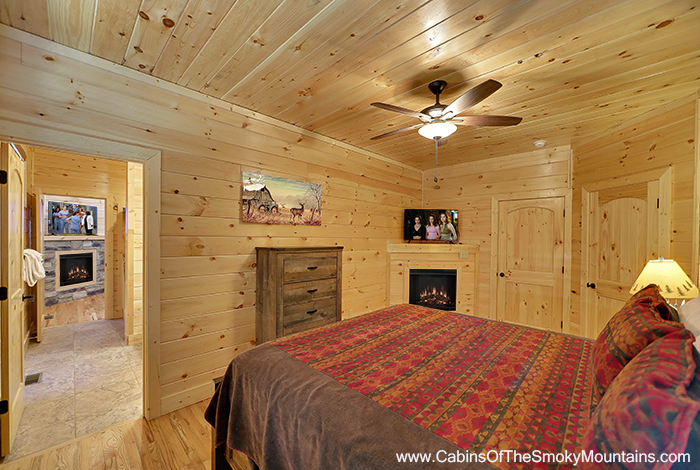 This luxury 3 bedroom Gatlinburg cabin rental features numerous amenities that cannot be found anywhere else such as San Francisco Rush 2049 Driving Simulator, Pool table, Foosball, Air Hockey, Ms. Pac and Man/Galaga arcade game. 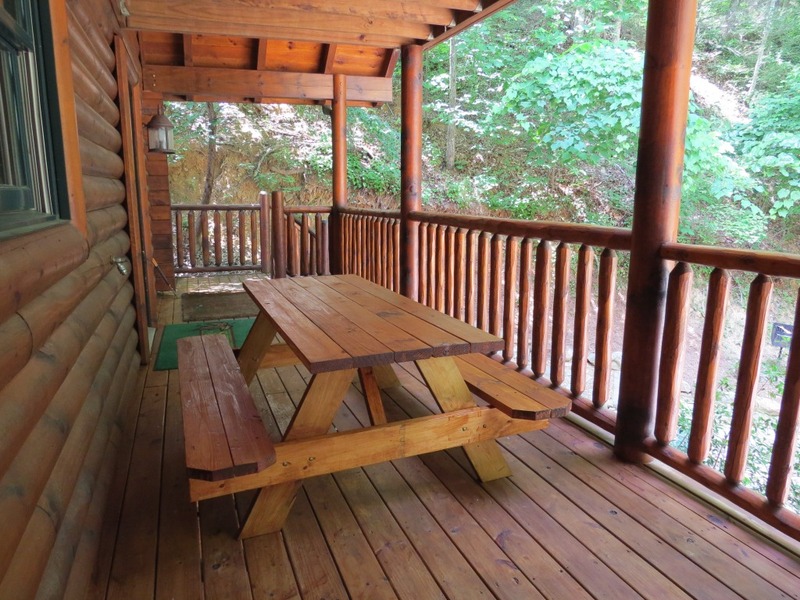 After enjoying all that the inside has to offer, step out onto one of your 6 decks; 3 of which feature wooded views while the other 3 offer spectacular mountain views. 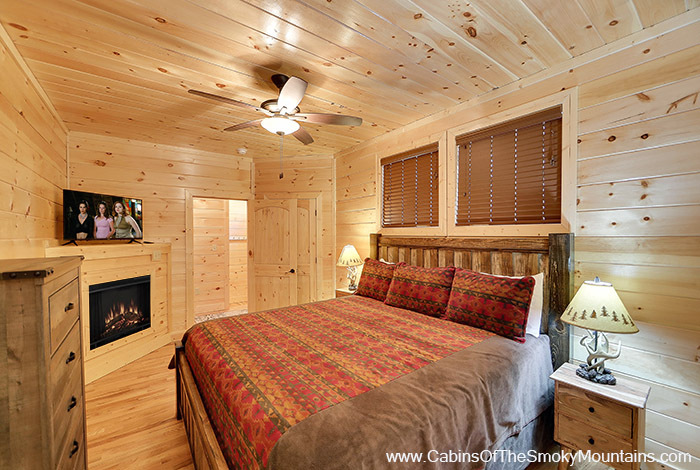 Each of the 3 King bedrooms are located on separate floors and come complete with their own fireplace, cable TV with DVD, and bath. 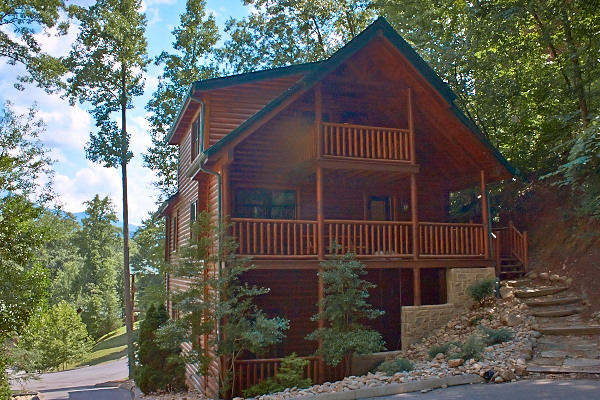 So come enjoy a stay at Mountain View Theater Lodge, and create memories that will last a lifetime.